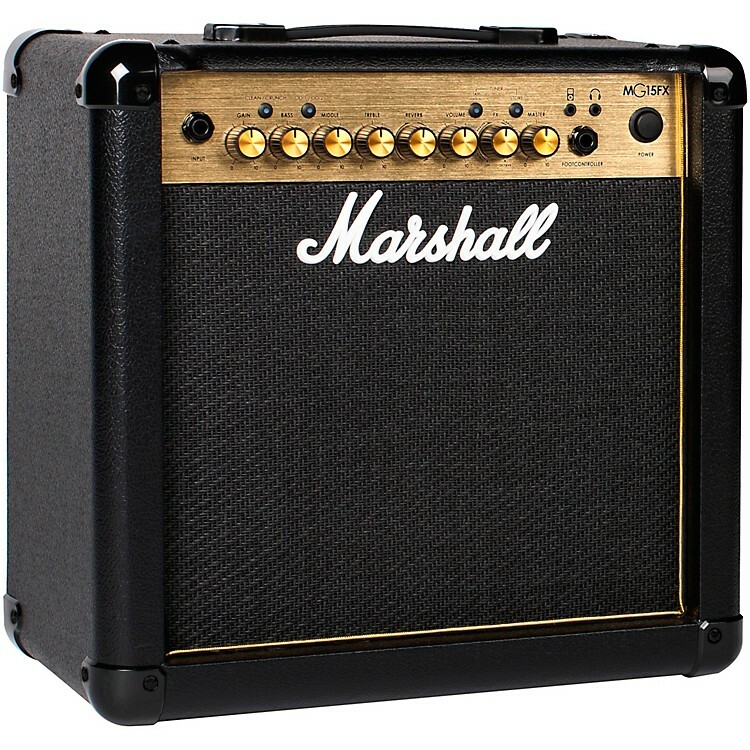 Get Marshall charm and awesome effects in a potent practice platform. The Marshall MG15GFX 15W combo boasts four channels, a single 8" speaker and a wealth of digital effects, as well as a headphone output for silent practice and an aux. input for jamming along to your favorite tunes.